A group of Ahwahnee citizens are circulating petitions to present to the Madera County Board of Supervisors in an attempt to save two Cal Fire stations that are scheduled to close Jan. 11. Members of the Ahwahnee Community Council have organized the signature drive. Members of the council had petitions in front of Vons last Thursday and will continue to gather signatures in Oakhurst and Raymond through December. The group hopes to get 1,000 signatures asking the supervisors to rescind their decision of Sept. 15 to close the Ahwahnee and Raymond Cal Fire stations during the winter months. The savings from the budget to close the two stations this winter was $270,000. In September, Madera County Fire Chief Dale Hutchinson presented three options to the supervisors. On a 3-2 vote, option 1 was selected, which will close the two stations. Hutchinson told the board before the vote, "based on our level of service and what we need to provide on a daily basis, we need every staffed Cal Fire station and every volunteer station. Whatever we do, it's a dramatic impact to our service level." The planned closing of the two stations will leave both communities with understaffed volunteer fire departments through spring, when the Cal Fire stations would open again with state funding. With the Cal Fires stations closed, backup for the Ahwahnee Volunteer Station will come from the county No. 12 Oakhurst station and the Raymond volunteers will be assisted by Indian Lakes and Yosemite Lakes Park volunteer departments. The petitions state that funds for these stations be reinstated in order to restore essential fire protection and emergency services and that budget reductions must come from outside fire protection or public safety will be severely compromised. Ahwahnee and Raymond residents have voiced concerns over public safety since the decision to close the two Cal Fire stations. County government watchdog Dale Drozen, also a retired firefighter, told the supervisors back in September the vote to close the two stations would put people's lives in danger. "Hopefully we won't lose lives over it (the vote), but you will be putting them in danger." Dan Francoeur, chairman of the council, says the group feels cuts were made to fire service when there are other areas in county government that could be cut that would not put the public at risk. "There are areas in county administration that this money could come from," said Francoeur. Francoeur said fire is not the group's biggest concern. It is the slower response to medical emergencies that will result with the stations closed. "We have people going to the board of supervisors every week to remind them of the importance of keeping these stations open," said Francoeur. Helping Francoeur gather signatures at Vons last week was Dale Miller and Larry Linch. The three men are residents of Ahwahnee. Miller is retired after 40 years in fire service and Linch is retired after 33 years of service with the Los Angeles Fire Department. The idea of the supervisors to rescind an earlier vote, although allowed by law, fueled much discussion when the Yosemite Sierra Visitors Bureau went through the process in October. The bureau received a 2-2 vote on its plan to increase the hotel tax to raise funds for bureau marketing. The bureau went back to the board to have the issue voted on by the full board, which they did after a lengthy discussion. In addition to Francoeur, the Ahwahnee Community Committee is made up of Tony Ward, Fern Facchino, Larry Ballew, Wayne McAdams, Jerry Bosworth, Dr. Mike Horasanian and Ken Croker. A minor earthquake occurred at 6:34:25 AM (PST) on Tuesday, November 24, 2009. The magnitude 3.9 event occurred 37 km (23 miles) SE of San Clemente Is., CA (NW tip). The hypocentral depth is 12 km ( 7 miles). A minor earthquake occurred at 7:55:31 AM (PST) on Sunday, November 22, 2009. The magnitude 3.7 event occurred 10 km (6 miles) SSE of Lucerne Valley, CA. The hypocentral depth is 3 km ( 2 miles). Plans for building a new Cal Fire station in Creston took a step forward on Wednesday when the Creston Advisory Body unanimously voted to recommend the design proceed based on the conceptual drawing presented at the meeting. Representatives from RRM Design Group came to the meeting and showed a drawing based on feedback from prior meetings with Creston residents. The design incorporates design elements from barns in the area and the drawing was met with a warm round of applause from those in attendance. For the complete article see the 11-20-2009 issue. The NSW 2009/10 bushfire season has started. The Bureau of Meteorology is indicating that for most of NSW, there is a 75 per cent chance of above average temperatures and as high as 80 per cent on the southern border. For this reason, people should be taking the time now to prepare not only their homes, but also themselves, to give themselves the best chance of surviving a fire. The Fire Danger Rating is an early indicator of the potential danger, should a bush fire start. When a Fire Danger Rating is advised, you need to take it seriously and be prepared to act. A new Fire Danger Rating system has been introduced, with a new top level category - Catastrophic (Code Red). The Catastrophic (Code Red) level indicates that if there is a forecast of Catastrophic conditions, there is a very real likelihood of major loss of life and property. New bush fire alert messages will be used to help people make safe and informed decisions in the event of a fire. The new bush fire alert messages will be ranked on a sliding scale depending on the threat. In order to limit the number of fires that escape and threaten life, property and the environment, especially on days when it is very hot, dry and windy, the NSW Rural Fire Service can restrict the use of fire through Fire Permits and Total Fire Bans. People who live in bush fire prone areas should be taking the time now to prepare not only their homes, but also themselves, to give themselves the best chance of surviving a fire. To assist people in their preparations, the NSW Rural Fire Service encourages you to assess your home's bush fire risk using their online assessment tool and prepare a Bush Fire Survival Plan. Brenda Eitzen, who was 60 at the time of her arrest, is set to be sentenced Nov. 30 at the Trinity County Superior Court. She is still being held at the Trinity County Jail and could serve up to year total, said Michael Harper, Trinity County District Attorney. She had faced a second felony and two misdemeanors for recklessly starting a fire, but those charges have been dismissed, said a Trinity County Superior Court official. Eitzen was arrested shortly after the start of the Coffin Fire on Aug. 15 and has been held at the Trinity County Jail since. Following an investigation by the California Department of Forestry and Fire Protection and before the flames were out, the Trinity County District Attorney’s Office charged Eitzen with two felonies and two misdemeanors for recklessly starting the fire. Witnesses said they saw Eitzen toss a lit cigarette while meandering down Lewiston Road, igniting the fire. Pushed by gusty winds, the fire quickly grew to 1,000 acres and forced evacuations. Cal Fire crews declared the fire contained three days later after an onslaught of air tanker retardant drops helped corral the flames. CAL FIRE, in cooperation with local landowners, is conducting a prescribed burn on Saturday. The 920-acre burn is located one mile south of Lopez Lake near Phoenix Canyon. Five Cities area folk may see smoke to the east from about 8:00 a.m. to 6:00 p.m.
WHAT: SURFACE HIGH PRESSURE OVER THE GREAT BASIN AND OFFSHORE FLOW WILL BRING GUSTY NORTHEAST WINDS AND VERY LOW HUMIDITIES TO PORTIONS OF SOUTHERN CALIFORNIA SUNDAY MORNING THROUGH MONDAY AFTERNOON. 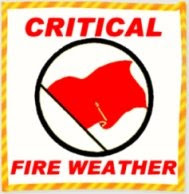 WHO: THE NATIONAL WEATHER SERVICE IN SAN DIEGO HAS ISSUED A FIRE WEATHER WATCH...WHICH IS IN EFFECT FROM SUNDAY MORNING THROUGH MONDAY AFTERNOON. WHY: NORTHEAST WINDS OF 15 TO 25 MPH WITH GUSTS TO 40 MPH WILL DEVELOP BELOW THE CAJON PASS AND IN THE SANTA ANA MOUNTAINS AND FOOTHILLS SUNDAY MORNING... THEN SHIFT SOUTH AND EAST INTO PORTIONS OF INLAND RIVERSIDE AND SAN DIEGO COUNTIES DURING THE DAY. LOCAL GUSTS IN EXCESS OF 50 MPH ARE POSSIBLE AT TIMES IN THE WINDIEST LOCATIONS. THE HUMIDITY WILL DROP BELOW 15 PERCENT OR LESS FOR SEVERAL HOURS...MAINLY IN THE VALLEYS AND ON THE LOWER COASTAL MOUNTAIN SLOPES. THE GUSTY WINDS WILL CONTINUE ON MONDAY WITH INLAND HUMIDITIES DROPPING BELOW 10 PERCENT AT THE LOWER ELEVATIONS. Local law enforcement and fire departments will duke it out on the court for a good cause at 6 p.m. Tuesday, Nov. 17, at the Berrendos Middle School Gym. The event is being held to raise money to help a group of middle school students take an educational trip to Washington D.C. The Guns 'n Hoses basketball game will feature players from the Red Bluff Police Department, Tehama County Sheriff's Department and California Highway Patrol playing as the guns. The hoses will feature players from the Red Bluff Fire Department and CalFire. Students will spend a week visiting places like the Holocaust Museum and the Vietnam War Memorial. The trip itinerary has been planned to follow sixth through eighth grade Social Studies curriculum. Students will get a chance to experience firsthand what they have been studying for the last three years. Admission to the game is $5 and can be purchased at Tommy K's Yogurt, 218 S. Main St. More information is available by calling call 228-2139. Additional donations are being accepted at Sierra Central Credit Union under the name of "Washington DC Trip." Steve Chambers, a Cal Fire civil engineer, uses a design drawing to illustrate his points. The barracks at Cal Fire's station in Altaville were filled with environmentally and historically concerned citizens Tuesday who came to hear a group of Cal Fire representatives try to explain why it was necessary to cut down more than 40 trees to build a new station. Stewardship is a big issue with some community members who became concerned with the project when word was spread by Angels Camp resident Tim Folendorf that a large redwood tree planted in the 1950s was on the chopping block. He asked the California Department of General Services, the agency in charge of designing the new station, to adjust the plans to save the redwood and was told that such an adjustment would cost $500,000 and delay the project indefinitely. It was revealed Tuesday by Steve Chambers, a Cal Fire civil engineer, that the actual cost of a redesign would be closer to $30,000, with the total cost rising to about $200,000 after construction costs are reevaluated. Fewer than five years ago, such a redesign cost much less. According to a group called “Save the Altaville Trees,” in 2005 DGS estimated that it would cost $5,200 to change the site plan to move the barracks closer to the apparatus building, which would retain more trees. The changes were denied. The grassroots group will hold an opposition rally concerning removal of the trees from 10 a.m. to 1 p.m. Saturday at the Old Altaville Schoolhouse. The redwood tree is growing in an area slated to be a parking lot as part of the rebuild. The lot would include spaces designed to accommodate the disabled, which is a requirement of the American with Disabilities Act, according to planners. Chambers said the parking lot is required by the state and there must be a published accessibility route for the disabled. Julie Hutchinson, Cal Fire battalion chief, told Folendorf that moving the parking lot would require the removal of about 10 native oak trees on another portion of the property, which the plan has set aside to be preserved. According to Foster, the community had an opportunity to voice its concerns at the appropriate time, which was in 2003 when the project was going through the California Environmental Quality Act process. Concerns could easily have been addressed then and been set in stone in the planning process, Foster said. Foster reiterated that everything had been done properly. There was simply little or no community response at the time of the CEQA process. The relationship between Cal Fire and the community has a long and rich history. Cal Fire worked to preserve the land surrounding the Old Altaville Schoolhouse, the oldest in California, which it moved to its current location just off Highway 49. Firefighters maintain nearly all the landscaping around the treasured piece of history and members of the museum said that without help from Cal Fire they couldn't keep the area in such pristine, park-like condition. The proximity of the schoolhouse to the fire station caused Cal Fire planners to work around the historical site, which limited their options, planners told the crowd. While Chambers and his counterparts said they appreciate the community's concern, they also warned that if the protesters stir things up too much, the station construction could be delayed indefinitely. Conceptually, he said, anything can be changed in the plans, but big changes would almost certainly put the project on the back burner. Cal Fire is incurring a monthly cost of $4,100 dollars to rent a modular building from the city of Angels Camp to house its firefighters. Noonan said that due to several delays in the arrival of state funding that would allow the “shovel-ready” project to begin, he has been forced to rent the modular for much longer than expected. Reasons identified supporting the need for a rebuild of the Altaville station, built in 1950, are: inadequate electrical systems; deteriorating water pipes; insufficient apparatus bays; lack of insulation in buildings; a poor heating and air-conditioning system; and the need for separate male and female sleeping quarters and facilities. The rebuild will also provide access to disabled people, widen the driveway and make all the buildings earthquake-safe. Such improvements will cost taxpayers $5.4 million, which some community members say is too much. The call came over the radio: A brush fire was just down the road. Inside Engine 120, a Sanger firefighter turned on the siren and honked the horn. Within a few seconds, the truck had arrived at the blaze. Out stepped the station's newest -- and smallest -- firefighter: 3-year-old Sebastien Daniel. With his hands firmly gripping the fire hose -- and his 5-year-old brother and a grown-up firefighter manning the hose behind him -- Sebastien extinguished the small fire that had cropped up inside a tinfoil pan. Once the smoke cleared, the two boys splashed around in the puddle of water they had created. At the Sanger Fire Headquarters on Tuesday, about a dozen firefighters watched as the Fresno boy snuffed out their controlled fire. His parents looked on as well, knowing their son was making the most of his last few months of life. Sebastien Daniel, 3, tries on a firefighter's mask at a Sanger fire station, where the boy was firefighter for a day. Sebastien Daniel enjoys some time behind the wheel of a firetruck. Sebastien -- a bright-eyed and energetic boy with a quick wit -- is terminally ill with leukemia. His mother, Shannon Daniel, says she expects the disease will drain the energy from her son within the next few weeks. But for now, Sebastien behaves like any other 3-year-old. During a tour of the fire station, Sebastien trotted around in his Sanger Fire Department uniform, bouncing off the dorm-room beds and the living room's sofa chairs. Almost every time he opened his mouth, the same question came out: "What's that?" When the firefighters told him they had something new to show him, he shouted: "Let's go!" -- and then ran off. The Daniel family moved to Fresno from Los Angeles about 2½ years ago. Sebastien was diagnosed with leukemia in March and went through four rounds of chemotherapy. He received a bone-marrow transplant from his 5-year-old brother, Julien, but the cancer returned. Sebastien's parents have been told that he has about two months left to live -- "if we're lucky," Shannon Daniel said. Her husband, Jean-Michel Daniel, says he has struggled to come to terms with Sebastien's prognosis. "It just doesn't make any sense, to be honest with you," he said. Through a friend, the Daniel family asked the Sanger Fire Department to help fulfill Sebastien's wish to be a firefighter for a day. A handful of off-duty firefighters organized the event. Sebastien got a tour of the headquarters, was fed pizza and ice cream, held the firehouse cat, Fuego, and -- of course -- got to ride in a fire engine and put out a fire. Chief Clyde Clinton presented Sebastien with a helmet and a certificate naming him Sanger's first reserve captain. Clinton said it was the first time the department has offered such VIP treatment to a terminally ill patient. "What I see in this child is a mentor," Clinton said later. "He's not looking at death, he's looking at life." The family is heading to Disney World on Saturday for a trip sponsored by the Make-A-Wish Foundation. It will be Sebastien's first trip there -- and his first time on a plane. While Sebastien and his brother ran around the fire station, his parents -- who have both shaved their heads to show their support for Sebastien, whose hair was lost in his medical treatment -- shook hands with firefighters and thanked them. "It's been awesome," Jean-Michel Daniel said. "Unfortunately, every moment counts now." 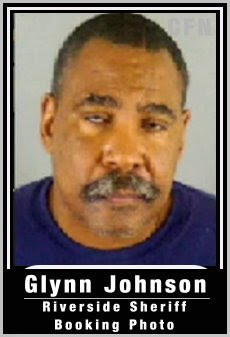 Animal abuser: Glynn Johnson trial starts tomorrow! Glynn Johnson trial starts tomorrow! Glynn is the now retired LACFD deputy Fire chief that brutally attacked a neighbors puppy dog. We wish Glynn a fair trial and then three squares and a cot for a few years! CANCELLATION OF THE AMBER ALERT FROM WHITTIER P.D. SUSPECT DANIEL LEON AND HIS VEHICLE ARE IN CUSTODY AND ALL THREE CHILDREN ARE SAFE AT WHITTIER P.D. Suspect takes kids saying he will kill himself and the kids. No weapon seen. Suspect: Daniel Leon MH DOB 12-10-79 bro/blk (p/shaved head) 5`8, 180 wearing blk shorts, gry t-shirt and blk shoes. Suspect vehicle: lic# 4LQY818 2000 Dodge Inteprid blk in color 4-door,t/c damage right front fender and yellow paint on left rear bumper. Victim #1- Danielle Leon FH DOB 01/20/05 brn/blk 3`6, 50 lbs wearing bro s/s shirt w/ monkeys on the front and pink Converse shoes. Victim #2- Lance Leon MH 12-23-07 bro/blk 3`0, 21 lbs wearing pajama top (nfd) blu pants w/grn stripe on side and bro shoes. Victim # 3- Jeremy Leon MH 05-05-09 bald/blk infant wearing orange sweater w/ Mickey Mouse on the front, gry pants w/ baseball glove on the back. M/O: Domestic Violence b/t suspect and biological mother. Suspect takes kids saying he will kill himself and the kids. No weapon seen. Description: THE FOLLOWING MESSAGE IS TRANSMITTED AT THE REQUEST OF THE CALIFORNIA HIGHWAY PATROL. * CHILD ABDUCTION EMERGENCY FOR EXTREME SOUTHWESTERN CALIFORNIA * A CHILD ABDUCTION OCCURRED ON NOVEMBER 9 AT 2PM... IN WHITTIER...LOS ANGELES...CALIFORNIA. * THE CHILD.S NAME IS JEREMY LEON... A 6 MONTH-OLD HISPANIC MALE. SECOND CHILD.S NAME IS LANCE LEON...A 1 YEAR-OLD HISPANIC MALE. THIRD CHILD.S NAME IS DANIELLE LEON... A 4 YEAR-OLD HISPANIC FEMALE. * THE SUSPECT IS DANIEL LEON...A 29 YEAR-OLD HISPANIC MALE. 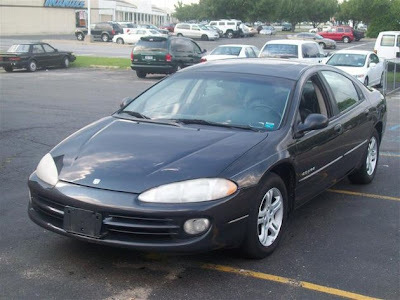 * THE SUSPECT IS DRIVING A 2000 BLACK DODGE INTREPID WITH CALIFORNIA LICENSE PLATE NUMBER 4 L Q Y 8 1 8. Version #C: This report supersedes any earlier reports of this event. A light earthquake occurred at 11:27:31 AM (PST) on Monday, November 2, 2009. The magnitude 4.0 event occurred 14 km (9 miles) WSW of Calexico, CA. A minor earthquake occurred at 12:18:23 PM (PST) on Monday, November 2, 2009. The magnitude 3.2 event occurred 15 km (9 miles) SW of Heber, CA. SOLEDAD, Calif. -- Law enforcement officials are looking for an inmate who escaped from Gabilan Fire Camp early Monday. Prison officials said Anthony Phillip Lopez, who is serving four years for weapons and drug possession, walked away from the Sierra Conservation Center at 1 a.m. Monday. Gabilan Fire Camp is considered a low-risk correctional facility. Lopez, 40, was incarcerated in 2007 and is from Santa Barbara County. Prison officials said Lopez is a member of the West Side Locos gang and is affiliated with other gangs in Los Angeles. He was last at the camp, which is located on Highway 101 in Soledad. Lopez is described as 5 feet 10 inches tall and weighs 200 pounds. He is bald with brown eyes and has a tattoo on his right forearm with a woman who has a hat on. Prison officials said Lopez may be wearing gray sweats or orange camp clothing with "state prison" printed in large black lettering.